The last decade has been an obsessive innovative journey for B2B Marketing technology, the CMO’s office has become cash rich, particularly when it comes to technology procurement. In fact, Gartner reported almost like for like revenue to technology spending in 2017, suggesting 3.24% against 3.4% for the CIO’s office. Digitally mature modern marketing, in terms of data aggregation, compilation and respective monetization models. The ability to demonstrate immediate ROI. With these factors in play, there is now an ongoing acceleration in technology adoption occurring throughout the sector. The demand for technology in B2B marketing and the business acknowledgment is more visible than ever too. This has culminated in the recognition for the need of “outcome led” applications & solutions, as opposed to “output led”. 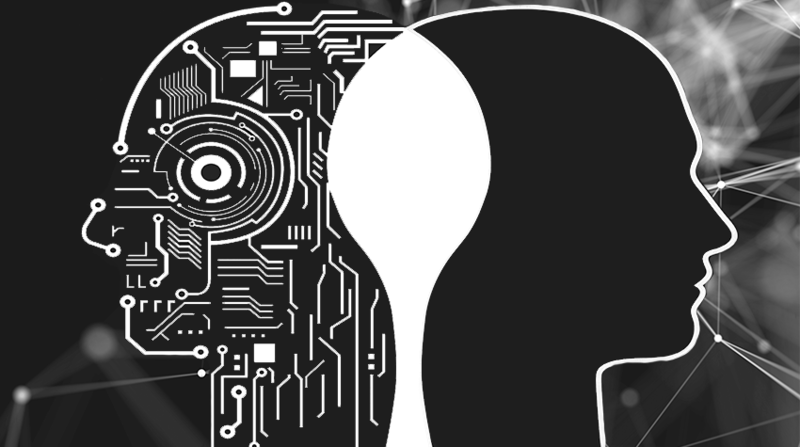 It is here, where the adoption of Artificial Intelligence as an enabling technology is a catalyst. The output of a typical field or product marketing team is creating/building email and therefore is catered by developing an output led technology or application, e.g. WYSIWYG features and applications. However, the desired outcome for the product or field marketer is to render personalized emails (messages) to their respective audience set. As modern “math” marketers, emerging tech, specifically AI (in the B2B marketing tech space) is at the front and center of every conversation we have. We believe the next phase in B2B marketing technology will be as “evolutionary” as the last, transitioning from linear content syndication to automated engagement orchestration i.e. from placing static banner ads to real-time programmatic display, from single email campaigns to 1 to 1 personalized nurtures, from generic content syndication to dynamic personalized content. 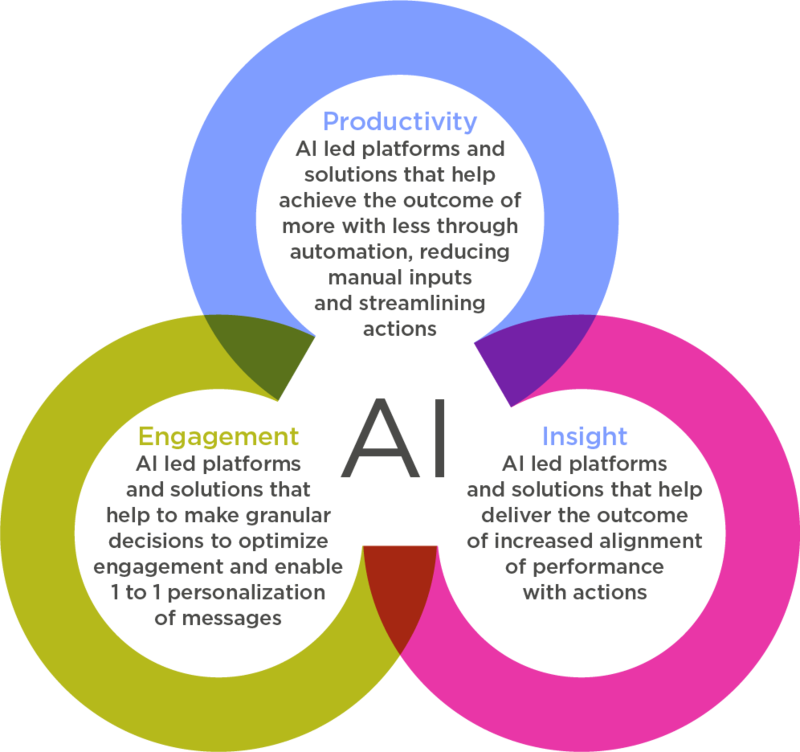 In this new era, we’ll be focused on taking an “outcome led” approach as AI (and related enabling technologies) finally allow us to do so. We’ll be using the marketing technology stack to collect useful data and leveraging processes to generate insights, this will help us target super-specific audience segments with relevant interactions. Using cutting-edge AI-powered technologies like deep learning, machine learning & cognitive applications, we’ll be able to drive personalization and messaging relevance with an optimized human resource investment. With the aim to achieve an “outcome” of personalized communication to their respective audiences, increase engagement and nurture success, field marketers will turn to AI. Armed with intelligent solutions, they will help create and send personal 1 to 1 email communications, yielding optimal results. A modern marketing leader carries the burden and responsibility of influencing and increasing the revenue, managing the customer experience, in this modern digitally native business space, and also running an “outcome” led productive organization. A new crop of technologies has arisen and given birth to new solutions and platforms based on outcome economics. These have been built to achieve the 3 core outcomes desired by marketing leaders. We’ve curated a selection of these vendors to showcase what’s available right now. We left the “Don Draper” era behind a long time ago, and in the recent past we have reinvented ourselves as the digitally native modern “math marketers”. 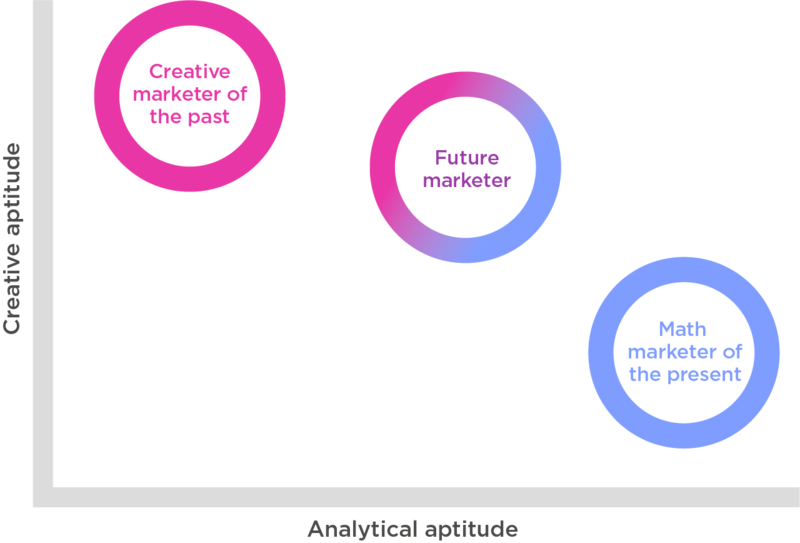 The role of a creative marketer has been redefined, with creative assumptions transitioned to creative conclusions based on data-driven insights and analysis. 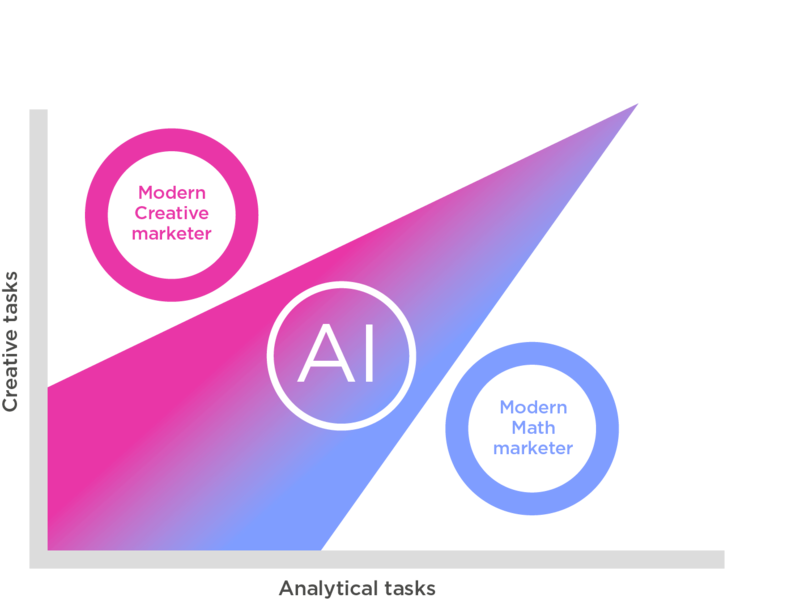 Marketers of the future will need to have the creative know-how and analytical cognizance to work with AI and the emerging tech marketing mix to be successful. 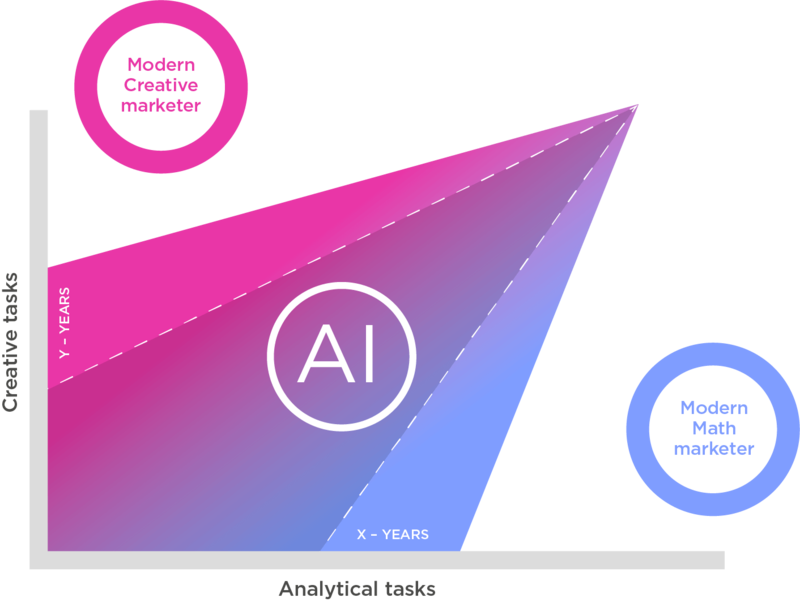 In terms of functional excellence, in the near future, this modern marketer (creative or analytical) will be required to deliver the most advanced deliverables as AI-powered applications and solutions will become available to do the basics. In theory, from a futurist point of view, the advances in machine learning should allow for these abilities of the AI to widen. The current development roadmaps of major B2B MarTech players clearly suggest that y > x in the above figure. Although this reorganization of resources and technology is inevitable, most digital pundits will agree that the realization and adoption of this theory may be a decade away. We are still learning to make the most of our million dollar MAP solutions.